Pay your bills in store at Clews News through BPAY and our CONNECT Bill Payment service. 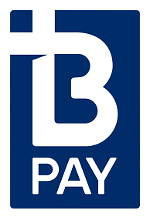 BPAY is used by a large number of billers, just look for the BPAY symbol on all your bills, if it is there you can pay it at Clews News. BPAY is owned equally by Australia’s four big banks – ANZ (Australia and New Zealand Banking Group Limited,) Commonwealth Bank of Australia, National Australia Bank Limited and Westpac Banking Corporation. CONNECT Bill Payment is simply the very first retail, consumer facing offer involving BPAY.